With the Nemus 2700, Komptech is launching a new generation of mobile hydraulic drum screens. As the successor to the Mustang the Nemus combines all the positive features and experience of its predecessor, while adding new features from the Cribus series. 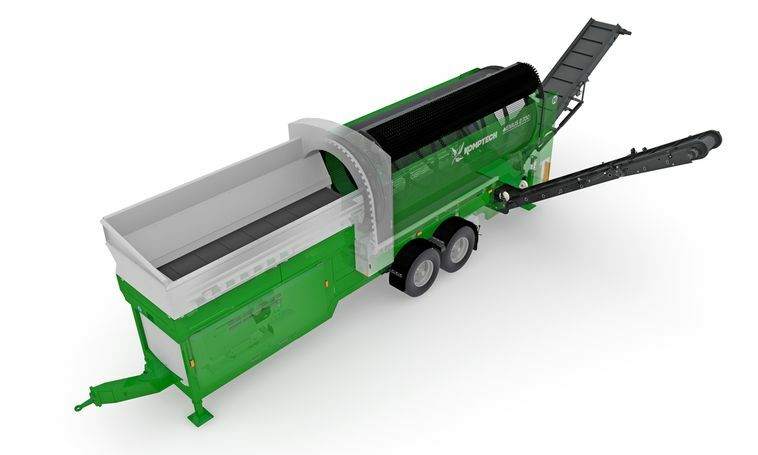 The large hopper in the design of the Cribus, the screen drum with its improved material feed and the one-piece corrugated edge fines discharge belt harmonize perfectly with the proven, robust diesel-hydraulic drive. Redesigned controls make operation easier, and the extended discharge belts included as standard equipment give more flexibility in use. Practical details like the easy-cleaning two-stage radiator induction screen, larger material intake support wheels and the new low-wear collecting conveyor scraper reflect customer experience.